When you in a pinch for space, this flat bottle is great for back packs to keep your load light. Perfect for: Travelers, outdoor sports enthusiasts, athletes and moms on the go. Add some bling to brighten up your promotion! Perfect for: cheerleading camps, dance teams, sorority fundraisers, breast cancer awareness events and beauty salons. My favorite – the fruit infusion water bottle. 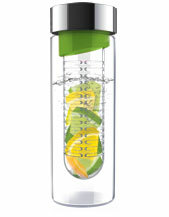 This modern design allows you to add your own flavor to your water with fresh fruit or mint leaves. Perfect for: Health clubs, doctor’s offices, produce or grocery stores and high end retailers. This fun wavy-shape adds a unique look to a usually standard looking bottle. Perfect for: Concerts, special events, fundraisers and schools. It’s not your typical water bottle, but it’s not your typical to-go cup either. 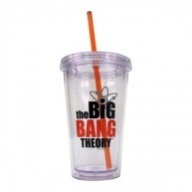 This plastic, reusable cup is an environmentally friendly option to the usual fast food cup. 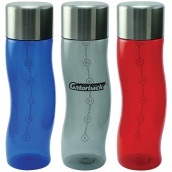 Perfect for: Restaurants, retail stores, food vendors and employee gifts. This state-of-the-art water bottle purifies your water as you drink it! Perfect for: Health fairs, environmental events, company incentive or human resource programs and fitness centers. Next Article Happy Dyngus Day!